From phones to tablets to set-top boxes, if it runs on Android, Jason Howell and Justin Eckhouse will cover it. 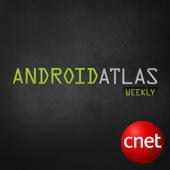 Expect a few tips and tricks and even an app review every week. 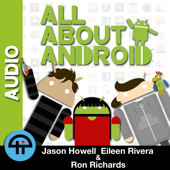 All About Android delivers everything you want to know about Android each week, bringing you the biggest news, freshest hardware, best apps and geekiest how-to’s, with Android enthusiasts Jason Howell, Eileen Rivera, Ron Richards, and a host of special guests along the way. Viewers have a voice by sending emails to [email protected] or calling 347-SHOW-AAA. Records live every Monday at 5:00pm PT/8:00pm ET on http://live.twit.tv. 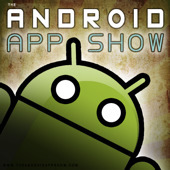 News and reviews of great Android Apps. 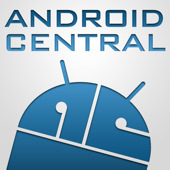 News and rumors about Android and the Open Handset Alliance. 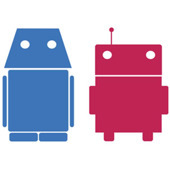 Find information on wireless carriers and Android trends. Breaking news, software reviews, and rumors. Updated daily! Android news, rumors, leaks, reviews and much more are discussed by the team at Phandroid.com every week – tune in to be entertained and informed!